Why didn’t anyone tell me that my baby talks and likes to have someone talk to her? Babies begin to communicate from the moment they are born beginning with sounds, facial expressions and other physical movements that communicate feelings of hunger, need for sleep, change of a diaper, or an overall need for attention. It’s important that parents respond to these needs to make babies feel safe and secure and to develop a special bond that fosters ongoing communication throughout their lives. Recognizing your baby’s signals is an important first step in learning to communicate with one another. Think of routines like diapering and feeding as special one-on-one times for you and your baby. Babies love to talk and be talked to. They enjoy listening to the sound of your voice as well as watching your facial expressions. Singing is a great way to playfully communicate with your baby. The rhythm of your voice can be soothing and fun. Remember that you are your baby’s first and best teacher. Hold her often, smile at her, talk to her, read to her, and listen to music with her. 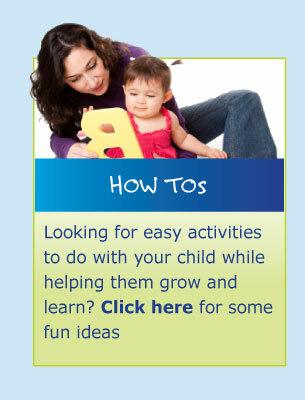 These activities all help your baby learn new words, develop imagination and improve overall communication skills. As the baby begins to develop and produce early sounds such as vowels and early developing consonants, /m/, /p/, /b/, /w/, /t/ and /d/, you can become her communication partner by repeating the sounds she makes. Before long you will be taking turns. This “cooing” and “babbling” between you and your child becomes your first conversation. Have fun with it! 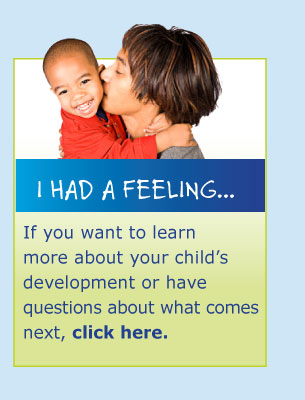 Help your baby begin to attach meaning to her “Mama” and “Dada” babble sounds. Remember that all babies develop skills at their own rate. Be proud of your baby’s accomplishment!